Recently reported Dr. Bandar Bin Mohammad Hajjar, the minister of Hajj said that, after the announcement of Umrah season this year, more than 3.8 Million pilgrims arrived for Umrah from all around the world. 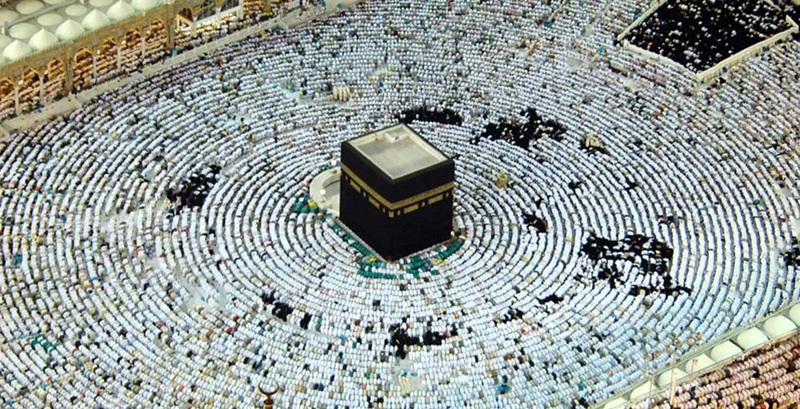 He also said more than 3,366,531 of the pilgrims have already left the kingdom after performing their religious duties.He added that the ministry of Hajj is monitoring the pilgrims electronically, and the record for each and every individual is maintained so as to avoid any sorts of confusion. Saudi Government is facilitating the Umrah pilgrims to the maximum. It is difficult to manage the huge crowd, but all of them were facilitated to the maximum. Most of the pilgrims were satisfied from the arrangements and few of them put in complaints, and further these complaints were rectified. For this sacred duty, a lot of visitors are still visiting the holy places of Makkah and Madinah and will continue to do so till the Hajj season starts up. A huge crowd is expected to visit the kingdom in the month of Ramadan; the Ramadan is considered to be the month for performing Umrah and a huge public used to visit Makkah and Madinah. Saudi government is making arrangements for the upcoming visitors too and will make sure everybody is facilitated to the maximum. A crowd of almost 5 million will be visiting the holy cities during the Hajj seasons, and arrangements are continued to made for their facilitation.